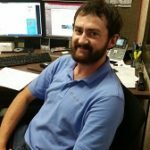 Brake Metal - Frequently Asked Questions (FAQs) - Foreman Fabricators, Inc. Brake metal is simply metal bent with a brake press, a metalworking machine. The brake press bends metal sheets and creates precise bends in the metal, creating “brake metal”, aka “break metal, cladding”. We fabricate brake metal every day, miles every year. 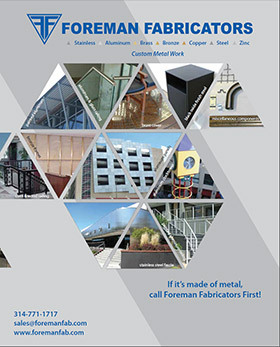 Foreman Fabricators fabricates a wide variety of metals. Many glaziers and contractors, and property owners throughout St. Louis count on us to get brake metal pieces they need, fast and accurately. How soon do you need it? Tell us your deadline, we’ll figure out how to get it to you. We have a system in place in order to be flexible with scheduling. We have shipped orders in the same day, or while people wait. Most shapes and configurations are possible. Our capabilities on shapes and sizes are dependent on the type of metal and metal thickness. Send us your sample or drawing with dimensions, it’s the best way for us to be able to tell you what’s feasible. Our brake metal operators are experts. If it’s possible to make a requested shape with brake metal, our fabricators can do it, or we can likely recommend alternative ideas to fulfill what you envision. Our equipment can handle 12 feet, or 144” is typically the longest brake metal we do, that covers almost any job we’ve encountered. Standard sheet lengths we keep in stock are 8’, 10’ & 12’. Once in a while, a customer wants a longer piece of brake metal, and we can help them with it, but that’s atypical. Some metals or alloys bend easier than others, but as a general guideline, ¼’ is the limit. Tonnage is a factor as well on the bending thickness. The longer the part, the thinner it will need to be in order stay within our tonnage. Shorter lengths allow us to exceed ¼”. Send us a drawing or call to discuss your project, we’ll give you a specific answer and a quote. We keep plenty of stock on our floor so we can turn your order around fast. 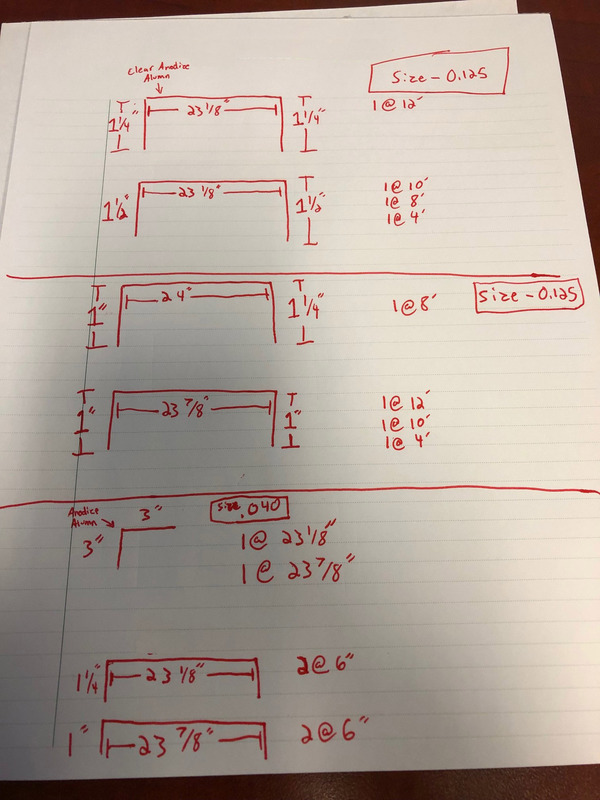 Standard stock material is 4’ in width and includes 8’, 10’ and 12’ lengths, so we can custom fabricate to your exact specs quickly in any length you need, up to and including 144”. Other lengths and widths can be provided, let us know what you need. These are the thicknesses we keep in stock. If you don’t see what you need, don’t worry, it’s very likely we can order whatever you need and have it in short order. 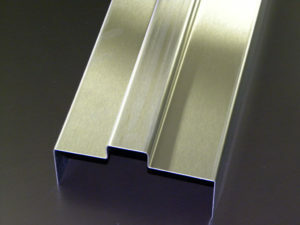 Prefinished & mill finish Aluminum- 0.40” & 0.63” and up to 0.080” & 0.125”. We carry mill finish anodized aluminum, pre-finished aluminum, stainless steel, steel, brass and bronze sheets, checkerplate, perforated sheets, wire mesh, woven wire cloth, and some flattened and expanded sheets. If we don’t have what you need just let us know, we can order whatever is required. And we can supply a myriad of colors and custom finishes after fabrication by painting or applying coatings. Examples include painting, powder coating, anodizing, galvanizing, etc. Matching an existing metal finish is not an easy task. Metal finishes can be inconsistent from vendor to vendor and even from batch to batch from the same vendor. Weathering and age is also a factor for older construction. We deal with this all the time, it’s part of our job, so fortunately we have experience in this. Although we can’t guarantee an exact match, we will develop a strategy and do everything we can to get as close as possible.